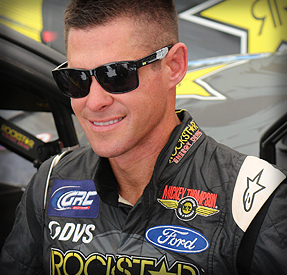 Brian Deegan is paired with Rudy Project to unveil the Limited Edition Deegan38 Spinhawk casual sunglasses, exclusively available in North America. Deegan's success in the action sports industry began in Motocross where he earned the Guinness World Record for most Moto Winter X Game Medals. Since then, Deegan has has transitioned to dominating the fields in Freestyle Motocross, Rally Car, and Short Course Trucks, becoming a 6-time Lucas Oil Off-Road Racing Champion. Spinhawk also means technology. This model, in fact, uses Multilaser Rp Optics sun lenses, developed using a special process in which surface of the lens is given an extremely thin "mirror" treatment; this reduces visual stress, offers total protection from UV rays and guarantees a real cool look. These glasses may also be fitted with both the ImpactRx prescription lenses, top-level customized corrective lenses from the Rudy Project range (photochromic and shatterproof). Reduction in visual stress with Multilaser mirrored sun lenses 100% protection from harmful UVA, UVB rays Available with efficient Polar3FX polarized lenses. POC DO Half Blade Ritte Ed.